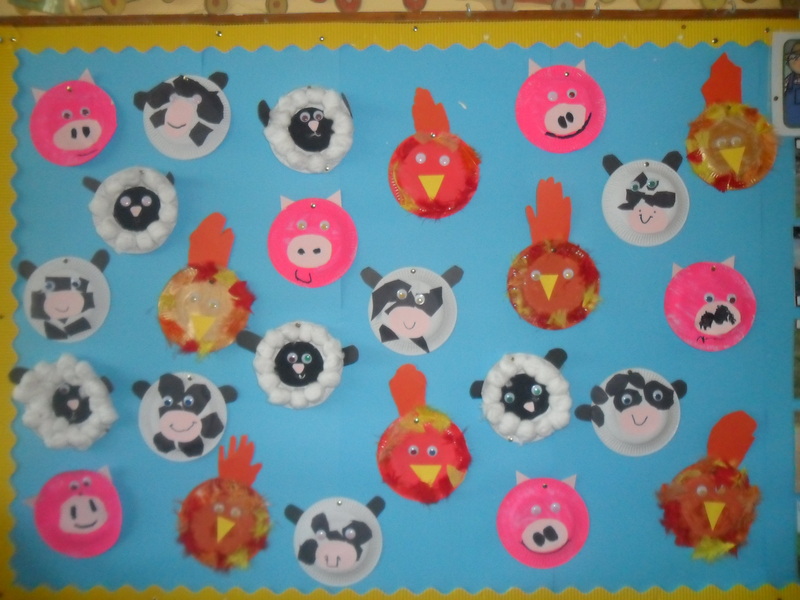 This month’s Aistear topic is ‘Farming’. At the Art Table the children made scarecrows out of a variety of fibre and fabrics, paper plate farm animals and ‘Junk Art’ tractors. 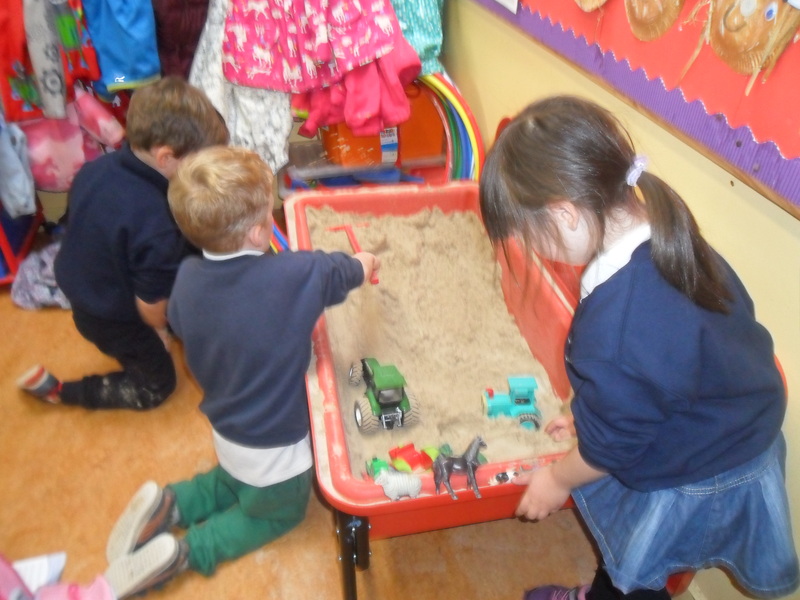 They created play dough farms, ploughed fields at the Sand Table and retold the story of ‘The Pig in the Pond’ at the Water Table. 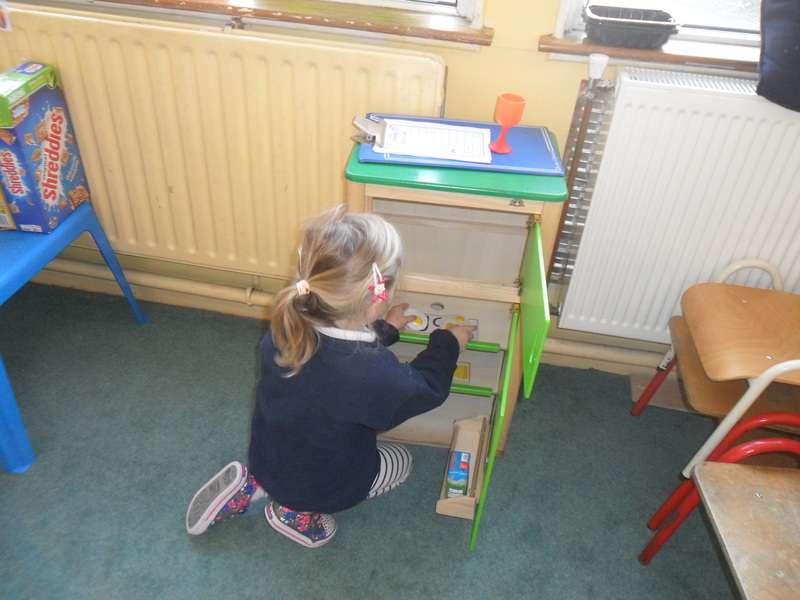 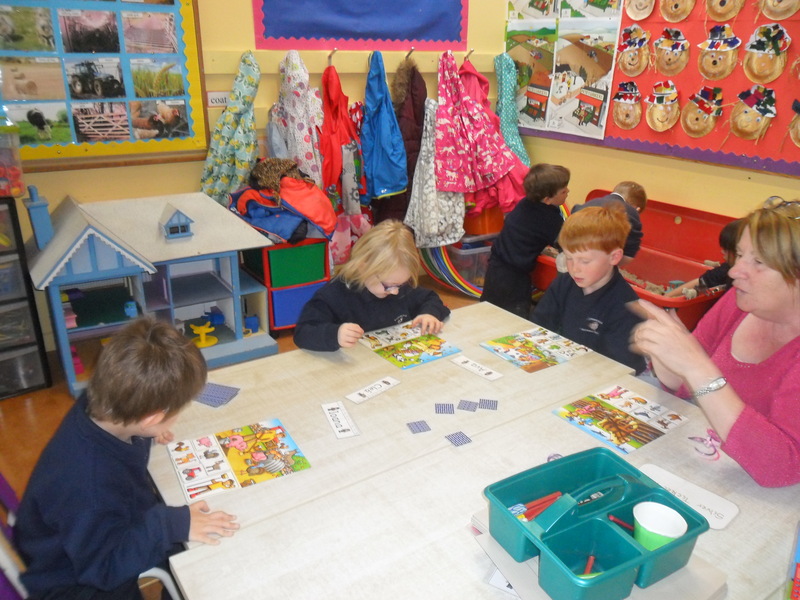 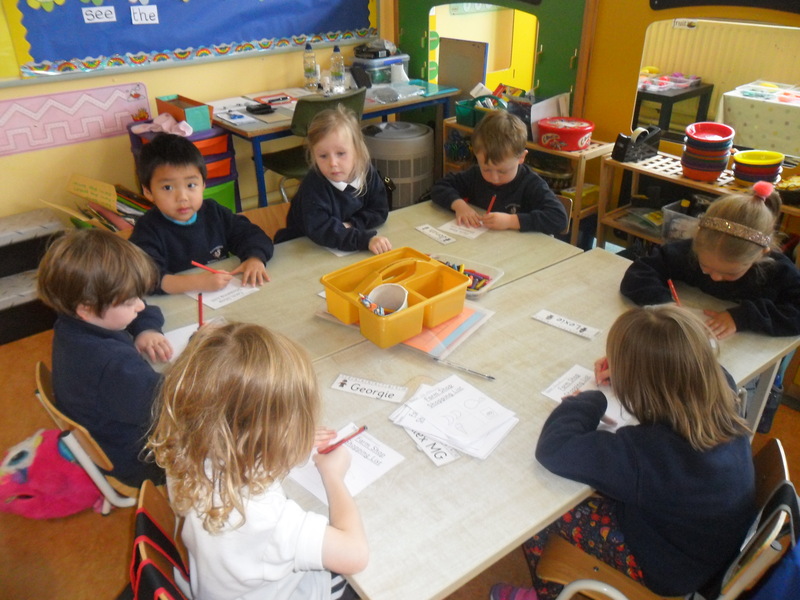 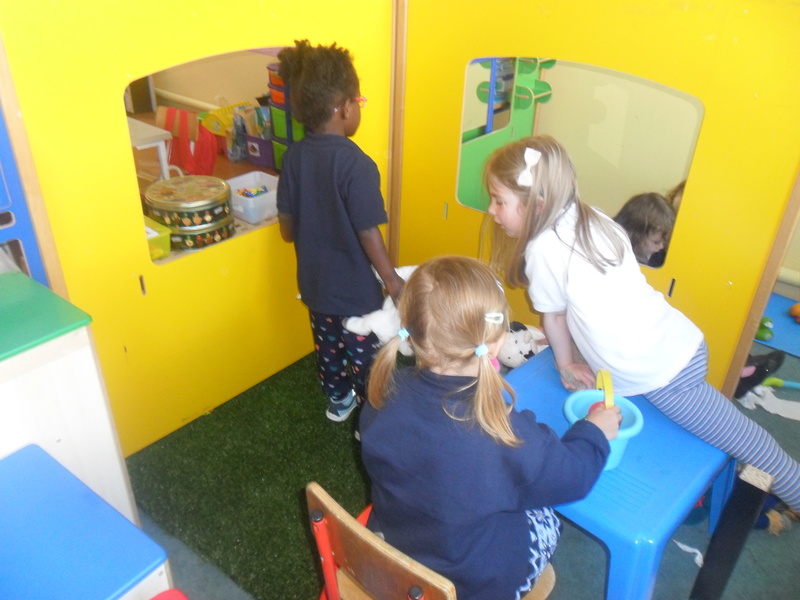 In the Home Corner the children took on the role of farmers caring for the animals in ‘The Farmyard’. 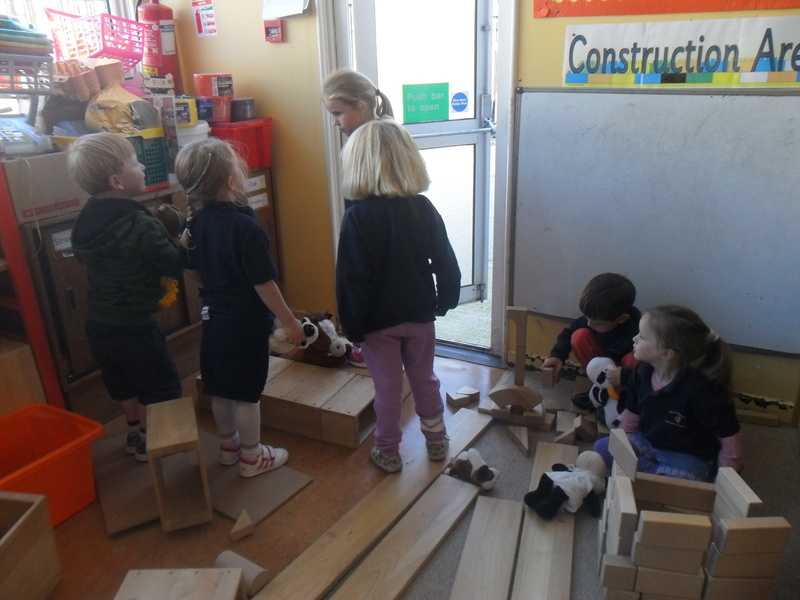 They took turns at playing the roles of vet, secretary, nurse and farmers in ‘The Veterinary Surgery’. 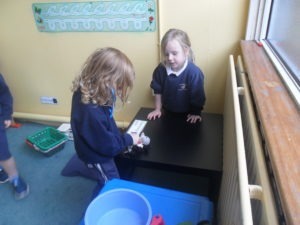 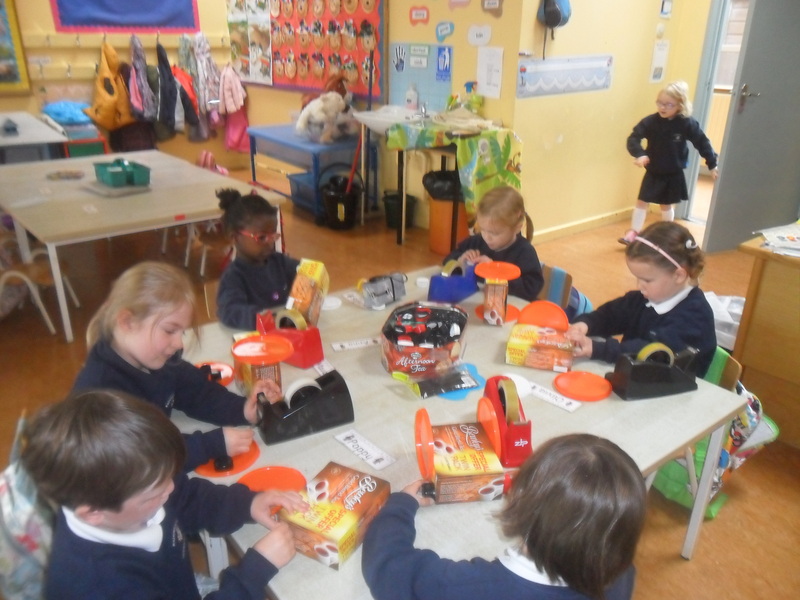 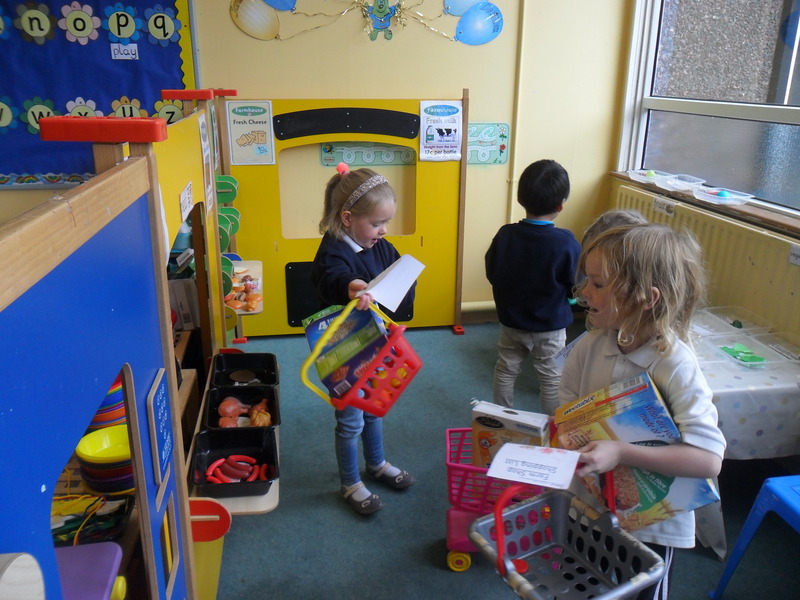 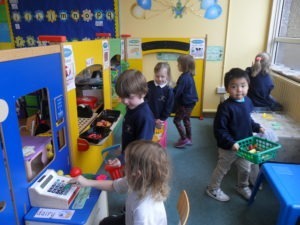 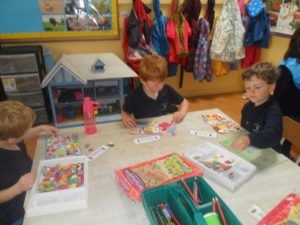 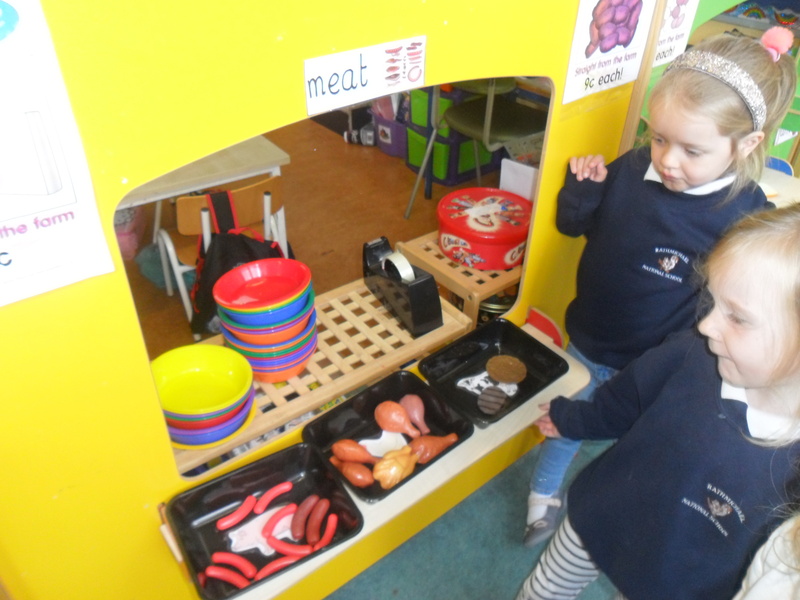 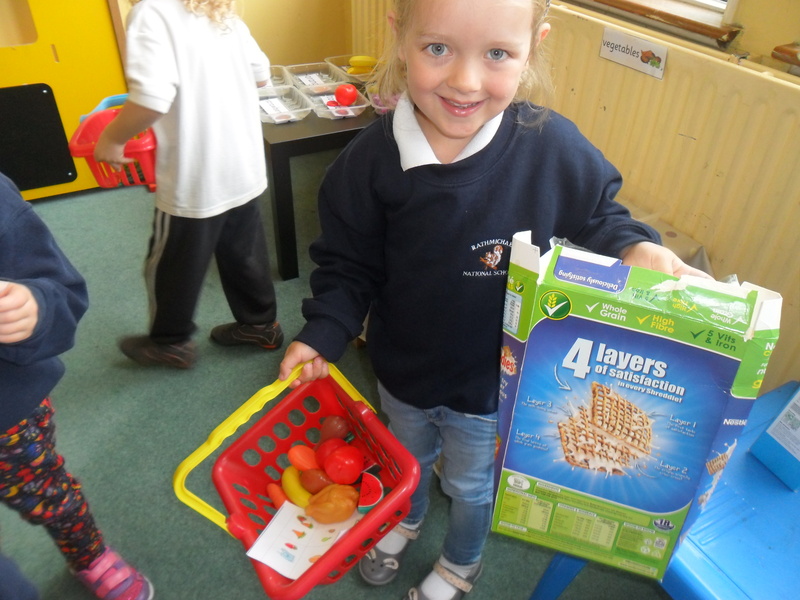 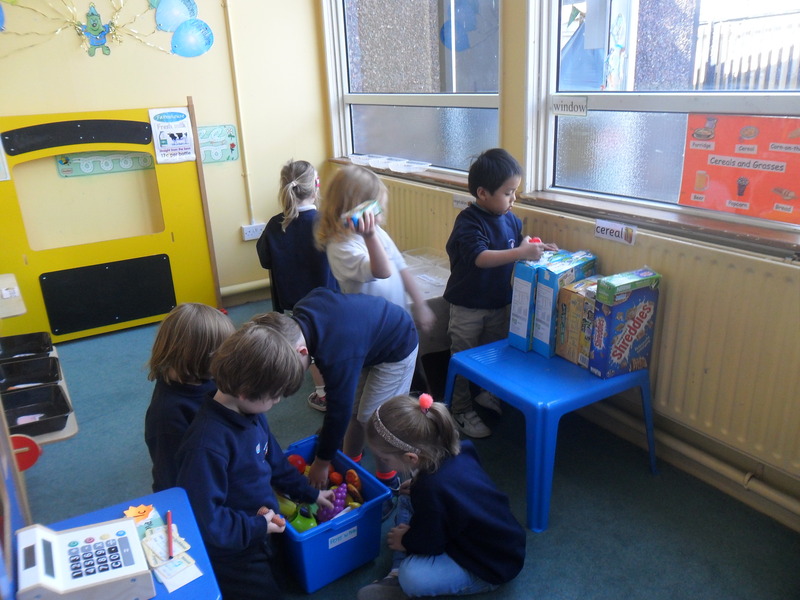 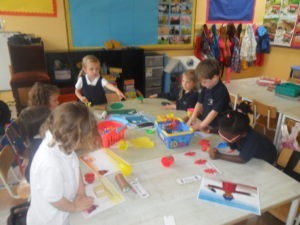 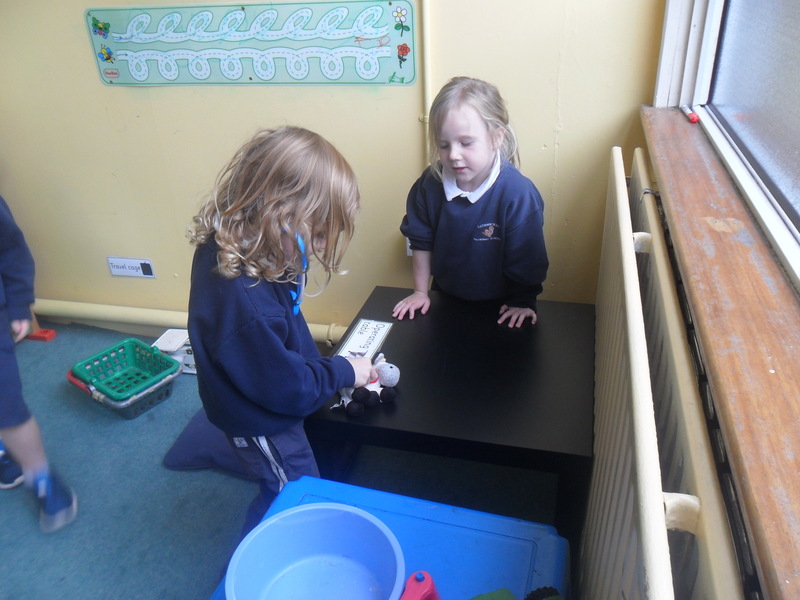 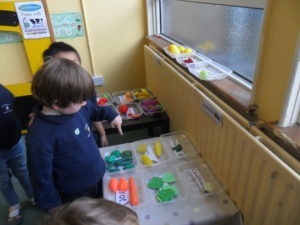 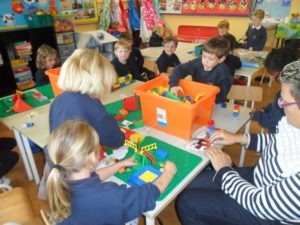 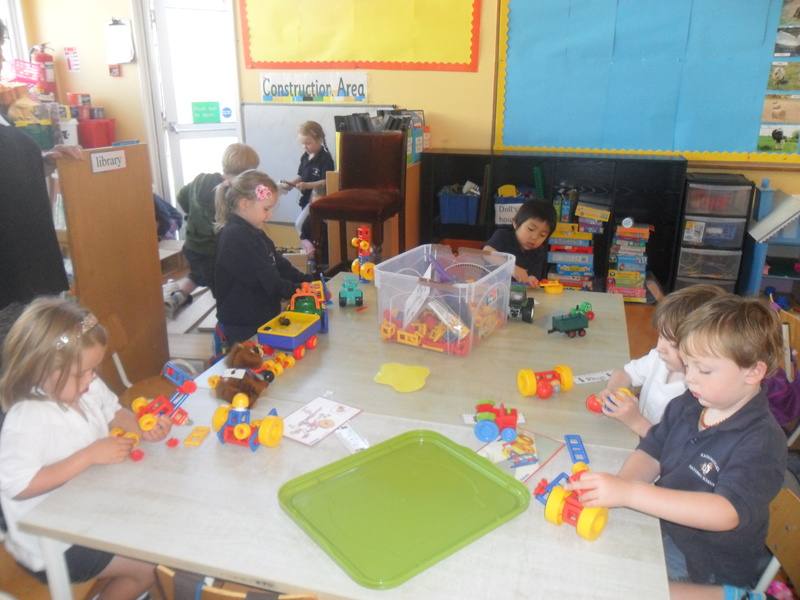 They acted as customers and shopkeepers in ‘The Farm Shop’. In ‘Small World’ the children built tractors from Mobilo, played with the animals in the wooden farmyard, made Lego farms and built the setting of the story of ‘The Little Red Hen’ in which they retold the story. 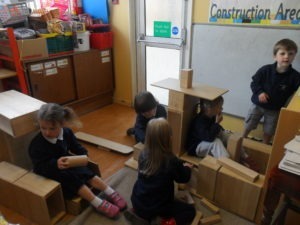 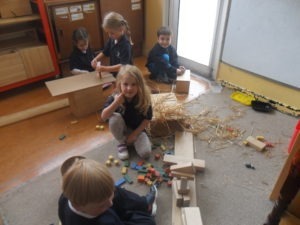 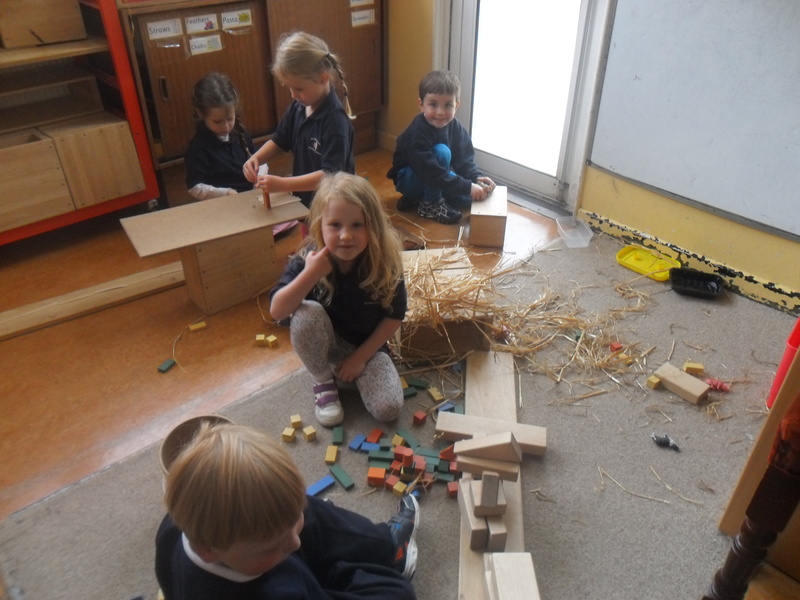 In the ‘Construction Corner’ the children built sheds, made houses of straw, wood and bricks for ‘The Three Little Pigs’ and built a tractor in which they played. 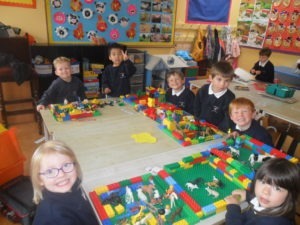 The children loved learning about farming. 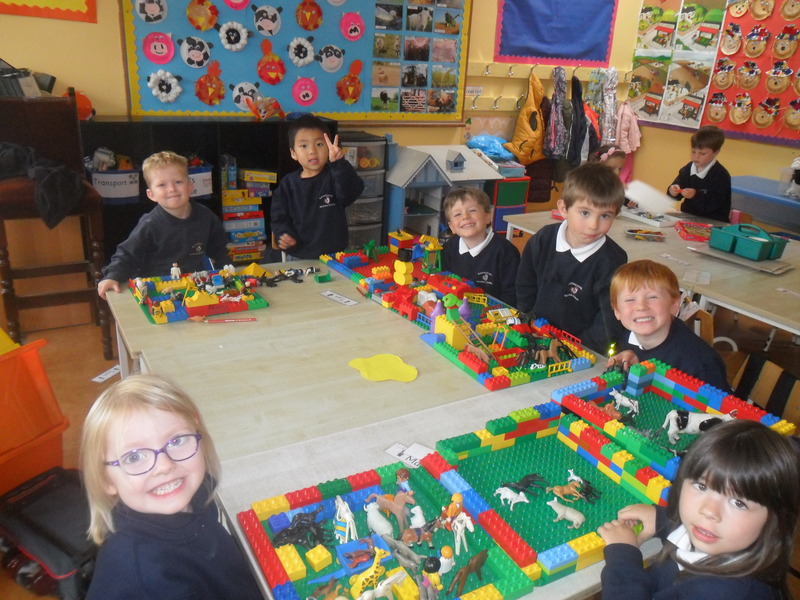 They learned about the different job a farmer does, how the food we eat comes from the farm and what products the different farm animals and crops provide us with. 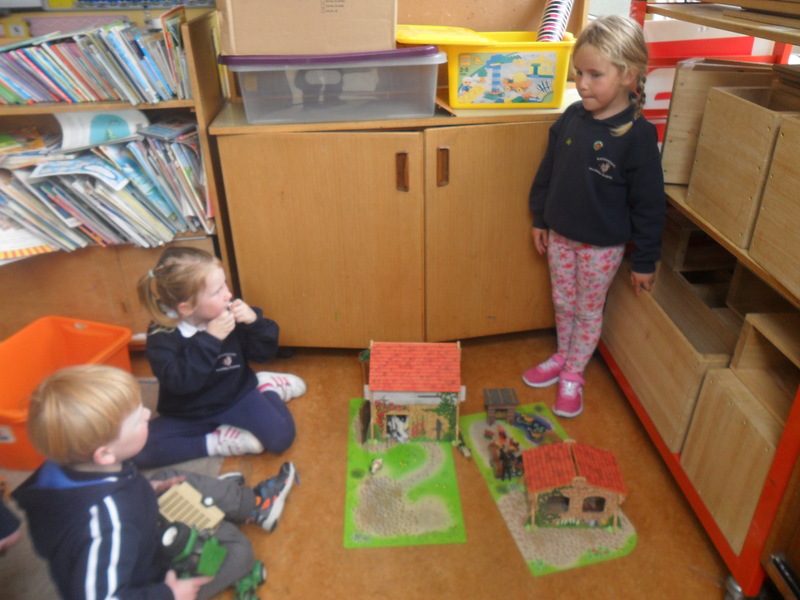 Story focus: ‘The Pig in the Pond’, ‘The Little Red Hen’, ‘The Three Little Pigs’, ‘Farmer Duck’ and ‘What the Ladybird Heard’. 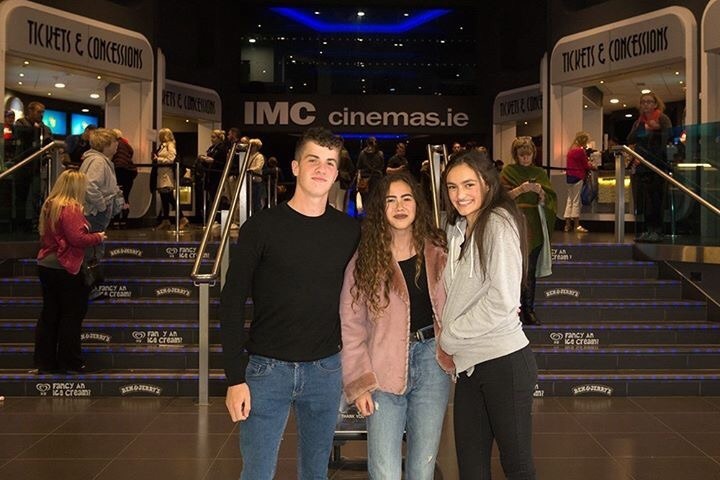 Huge congratulations to our past pupils Emma Nalty and Finn Rankin for winning ‘Best Concept’ award at last night’s Noise Flicks Film Festival for their short film ‘Everything Above’. 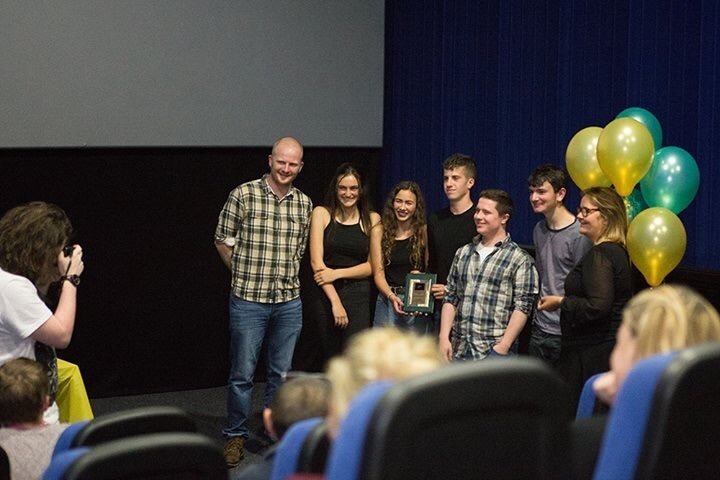 They also won ‘Highly Commended’ for cinematography. 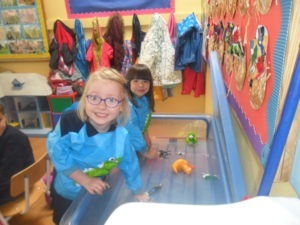 We are proud of you both! 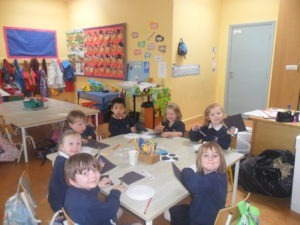  SC.